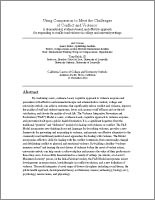 New developments in understanding human behavior suggest that alternative approaches may be more effective in reducing the morbidity and mortality associated with violence. 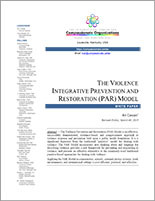 One alternative, The Violence Integrative Prevention and Restoration (PAR) Model, provides an effective, successfully demonstrated, evidence-based, and compassionate approach to violence response and prevention built upon a public health foundation. 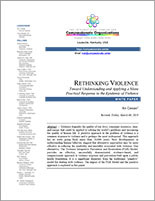 It is a significant departure from the traditional “punitive” model for dealing with violence. The impact of the PAR Model and the punitive approach is explored in this paper. The Violence Prevention and Restoration (PAR) Model is an effective, successfully demonstrated, evidence-based, and compassionate approach to violence response and prevention built upon a public health foundation. It is a significant departure from the traditional “punitive” model for dealing with violence. Applying the PAR Model in communities, schools, criminal-justice systems, work environments, and international settings is cost-efficient, practical, and effective. 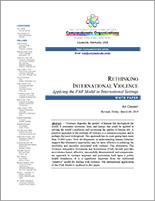 Like the publication above ("White Paper - Rethinking Violence"), this publication explores the application of the new Violence Integrative Prevention and Restoration (PAR) Model in international settings. The efficacy of the model is strengthened by its nonpolitical and nonreligious public health foundation. This is a significant departure from the traditional punitive approach to the problem of violence. New developments in understanding human behavior suggest that the PAR Model may be more effective in reducing the morbidity and mortality associated with violence. This report summarizes an assessment of medical practitioners in Pakistan. It examines the degree to which compassion is accepted and practiced by physicians. Using a small physician sample (95), the study provides baseline figures for future research. The ultimate goal is to make a significant contribution to improving society by enhancing human capacity for compassionate care so that physicians can better serve the people of Pakistan. This assessment continues the Funverks (Karachi) compassion efforts begun in Sri Lanka (refer to the "Injecting Compassion with Medicine" report on this page). Developing a compassion competency is essential to effective law-enforcement. 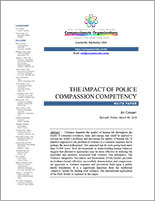 Incorporating compassion skills can result in improved officer efficacy, lowered incidents of enforcement morbidity and mortality, more effective conflict management, decreased stress and the accompanying impact on disability claims and early retirements, enhanced sense of reward and satisfaction among police professionals, improved results in recruiting high-quality officer candidates, and dramatically improved public perception and support. This report on a pilot study of physicians in Sri Lanka provides baseline figures for further exploration into that nation's healthcare sector. Farhad Karamally* and his Funverks team worked with PharmEvo to develop the study. The project goals were to engage medical practitioners in the healthcare industry regarding compassion, foster individual compassion-related self-reflection, and establish baseline figures for understanding the role compassion plays in healthcare. This project has implications for healthcare systems in other countries. The first study of its type, International Center Fellow Farhad Karamally applies Karen Armstrong's Twelve Steps to a Compassionate Life to business in Pakistan. Karamally and his team worked with 21 companies across seven industries; 2,304 individual respondents participated in the study. Karamally illustrates the connection between compassion and engagement and makes a convincing argument that compassion is good for business. Negotiation, rather than conflict, is a compassionate approach to conflict. 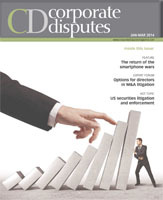 In this article in the January - March 2014 issue of Corporate Disputes (a worldwide publication from the United Kingdom), International Center for Compassionate Organizations Associate Director General Tony Belak, JD provides guidance for improving communication and listening skills in order to move from win-lose (position based) to win-win (interest based) outcomes. He examines the costs associated with conflict, seven progressive steps to resolve conflict, what is required to become a better negotiator. 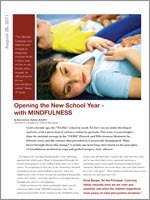 By combining a new, evidence-based, cognitive approach to violence response and prevention with effective environmental designs and administrative controls, college and university ombuds can achieve outcomes that significantly reduce conflict and violence, improve the quality of staff and student experience, lower risk, increase staff efficacy and on-the-job satisfaction, and elevate the quality of work life. Until a decade ago, the "Tel-Hai" school in south Tel Aviv was an under-developed institute, with a great deal of violence within its grounds. This year, it scored higher than the national average in the "GEMS" (Growth and Effectiveness Measures for Schools) tests, and the violence that prevailed in it practically disappeared. What factor brought about this change? A weekly one hour long class based on the principles of mindfulness meditation, yoga and guided imagery. And - silence! *An International Center Fellow. Visit our People page for a complete list of Fellows.